The games industry hasn’t been able to get enough of Kickstarter since Tim Schafer and Double Fine managed to pull together $3.3 Million for an as-yet-nonspecific adventure game title. The story has given everybody a new theory about what is possible with regards to game publishing: esoteric designs and genres finally have a way to get around cautious publishers. The adventure game is not dead. Gamers will gladly pay a reasonable price if their wishes are being met. Finally, game design can be a true meritocracy. These are mostly exaggerations, mind you. Not every aspiring game developer gets to be Tim Schafer, with an existing track record of critically acclaimed games and significant cachet among press and fans. 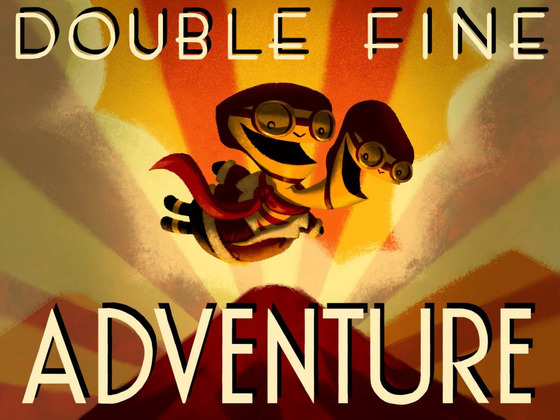 Double Fine may have raised an incredible sum, but there have been plenty of also-rans who have failed to magically capitalize on this amazing new source of revenue. On the other hand, the venture seems to have worked out well for a few of Schafer’s contemporaries, following very closely in the same footsteps that brought him such success. The rate of success seems to be much higher when the projects involve celebrated creators and/or popular IPs, surprising no one – other recent tales of triumph involve a new Shadowrun, a remake of Leisure Suit Larry, and if the pattern holds, we’ll be hearing about the success of Gabriel Knight creator Jane Jensen in a couple of weeks. How did we get along without our sleaziest heroes? It’s not just that these properties are popular, either; it’s important to realize who they’re popular with. 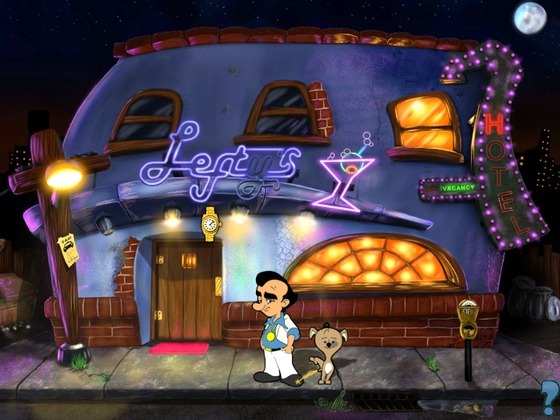 The Leisure Suit Larry series (recent reboot notwithstanding and best left unmentioned) originally ran from 1987 to 1996. Gabriel Knight games came out from ’93 to ’99. Shadowrun originally became popular as a pen-and-paper RPG in 1989, celebrating with a 20th anniversary edition only 3 years ago. Even the almighty Tim Schafer, though he’s had a good deal of recent success with games like Costume Quest and Stacked, still gets much of his reputation and praise for titles like Full Throttle, Grim Fandango, and his involvement with the Monkey Island series – all games of the 1990s. All of the above examples are games that would have appealed to those of us who were kids in the ‘90s (yes, even Leisure Suit Larry, “mature audiences only” be damned). Kids who, 20 years later, are now all of working age, presumably with disposable income and a nostalgic fondness for the IP of their youth. It’s hardly a cat-hair-moustache of a puzzle to figure out why these particular projects are getting Kickstarted so much more emphatically than the competition. What is curious, though, is that along with the giddy willingness to fund these projects in order to recapture the beloved characters and stories of yesteryear, today’s adult gamers are not entering into these projects completely blinded by their rose-colored glasses. Yes, we all recognize that the Jane Jensens and Al Lowes of early adventure games were pioneers, inventing the genre as they went and defining what was possible within the medium – paving the way for the David Cages and Robert Boyds of today. We’ve also made it clear that we expect great things from them. We will be very unsatisfied if they intend to simply coast on their earlier successes, since – let’s be perfectly honest here – those old adventure games, as much as we may love them and have fond memories of them, do not hold up by today’s standards. It’s impossible to discuss Gabriel Knight without bringing up the aforementioned infamous moustache puzzle, and while I was only too happy to personally chip in for the Leisure Suit Larry remake, I am with my fellow backers when they ask if the process includes fixing the terrible, frustrating problems of the original. It’s fairly remarkable, in fact, to see this kind of candid admission of flaws in our old favorites, particularly during a time when studios are content to simply slap a fresh coat of HD on an existing title and release it as-is. Granted, plenty of those classics do still hold up in their current form, but old-school adventure games are not among them. 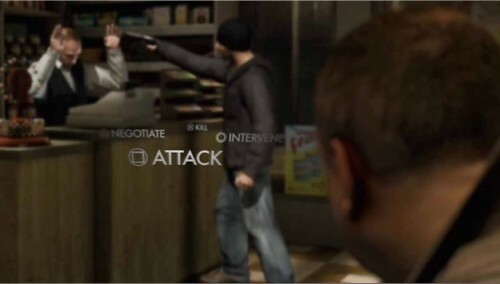 20 years ago, when we lost 2 hours of gameplay because we had the audacity to walk off the screen to the left and get instantly run over by a car, or we went through an entire game that was never winnable because we didn’t grab a Babel Fish at the beginning, we accepted that as a legitimate way of extending a game’s play time. Today, those of us with only 2 hours or so of available gaming time per day would quit a game in disgust if we were expected to put up with an entire session of backtracking and replay. We respect what the progenitors of adventure gaming accomplished, but we also have the hindsight to recognize that game design has dramatically improved in the intervening years. In the end, that’s what many of us are buying with our Kickstarter dollars. We don’t want experiences identical to the ones we enjoyed 20 years ago; they would spoil our fondness by reminding us of how crummy those games could honestly be sometimes. Instead, we are spending a few bucks on a glorious “what-if” scenario: What if those wonderful creators, armed with the benefit of hindsight and the knowledge of everything the industry has explored since they retired, were to make a game today? What would it look like if Al Lowe or Jane Jensen made a game with their unique humor and storytelling abilities, designed for today’s market and platforms? Kickstarter has finally allowed us to ask those questions in a more meaningful way with actual answers, and risk a little bit of money where a traditional publisher might not be able to afford such a hypothetical product. With luck, that’s what we’ve gotten ourselves into. Nostalgia can open the door (and our wallets), but we’re expecting our games to have grown up as much as we have.